We are back indoors now, except on holidays: on Monday nights at 6 PM. for adults and youth that have some experience. Also on Thursday nights for youth and adults starting at 6PM, this is a great time to learn how to shoot and to hone your skills under the supervision of a certified coach; contact Mary at 250-498-3205 or mostermeier49@gmail.com. Equipment is available as well we will teach you how to shoot with certified coaches. As a member of SOSA you can use the outdoor archery range at the bowl every day except when it is closed for a special event which is not very often. Our coaches are certified with the Coaching Association of Canada. We are now back indoors at the Air Cadet building, on Thursday nights starting at 6pm for the kids and if there is room their parents until 7:45; after that it is adults until at least 9:30. The cost to shoot indoors is listed below: We also have equipment for rent, cost is $5 per night; the first night there is no charge for the equipment. 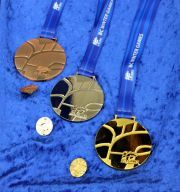 Our Junior Program is run through the BC Archery Association and the awards for achievements are supplied by them. Qualified coaches run this program and the youth develop at their own pace. 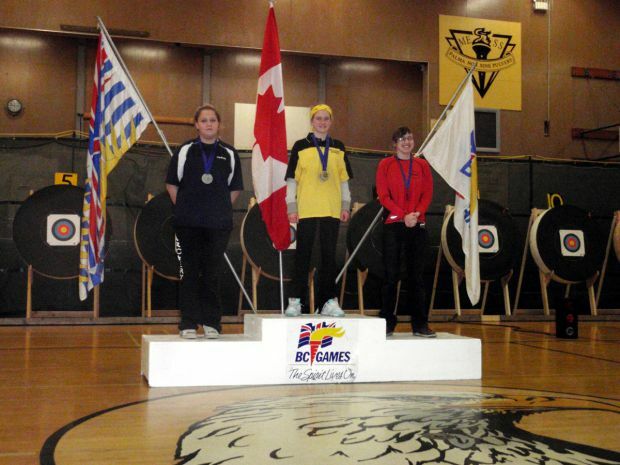 To participate in this program you are required to be a member of the BC Archery Association. The program is called JOP and is for youth between the ages of 6 to 21. Through this program we run a Mail Match with all the clubs in the province, a Regional tournament shot at the club and Provincial Indoor and Outdoor Championships in 3 or 4 locations in province. For the adults you will also be given coaching if requested as well we compete in mail matches across the country plus other events so come see us. We also train our youth to be able to try out and compete at provincial events. 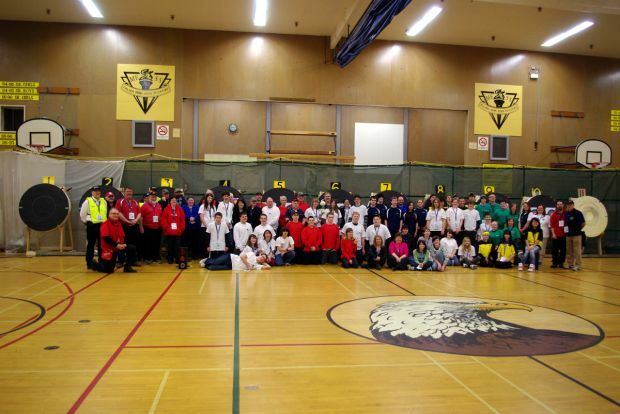 BC Winter Games in Terrace March 2010. We had from Oliver; three youth shooters, two coaches and two judges.